The CLIA Waived 5 Panel Drug Test Cup is a fully integrated, self-contained drug test kit used for detecting drugs and metabolites in urine. Our five panel drug screen eliminates the possibility of donor tampering if an adulteration test is integrated (look for the AD cups) and provides an easy solution for on-site testing that avoids the handling of urine. 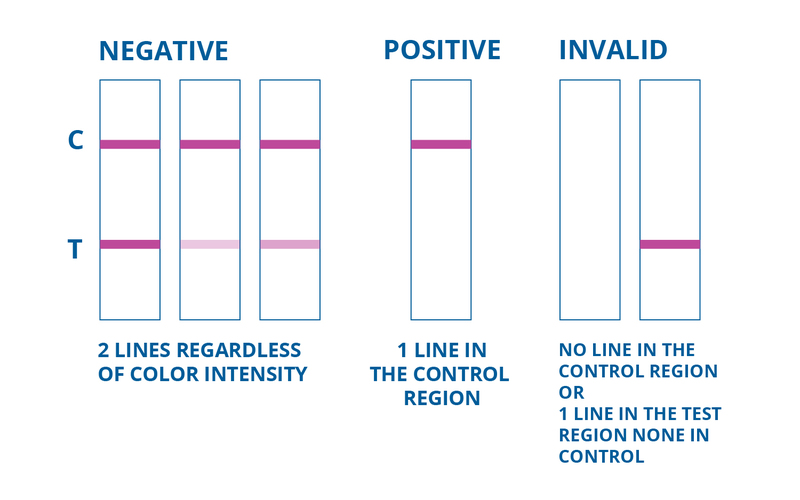 With 99% accuracy and FDA approval, accurate results are almost guaranteed, making this 5 panel urine test a great alternative to laboratory testing and one of the most accurate tests available. Results are presented in five minutes or less, saving time without having to wait the typical 24 – 48 hours to hear back from a laboratory. Pricing is competitive and budget friendly - our bulk order discounts make the 5 Panel Urine Drug Test one of the most cost effective products on the market today. Each five panel drug screen offers a 16 - 24 month shelf life - buy more and save more with our bulk order program. 25 - 99 $1.00 ea. $4.20 ea. 100 - 299 $1.60 ea. $3.60 ea. 300 - 499 $1.75 ea. $3.45 ea. 500 - 999 $1.95 ea. $3.25 ea. 999 or more $2.20 ea. $3.00 ea. My sales rep made my transaction simple! Easy to order, easy to use, quick shipping - I couldn't ask for anything more! Fast delivery items were what we are looking for.